This 16-Storey building in Osaka, Japan is unremarkable, except for the fact that it has a massive highway passing right through its centre. Hanshin Expressway system dissects the building through its 5th, 6th and 7th floors. It came about due to the property owners refusing to give up the building for the highway but eventually came to an agreement that they could go through the centre. Perhaps going around would have been easier? These Lycian tombs cut into the rock are a sight to behold. Associated with ancestor-worship and built some time around the 5th Century BC. The Lycians believed their souls would be transported from the tombs to the afterlife, led by a winged-siren. The tombs were sometimes built to look like houses, with intricate details like wooden beam features carved into the rocks. 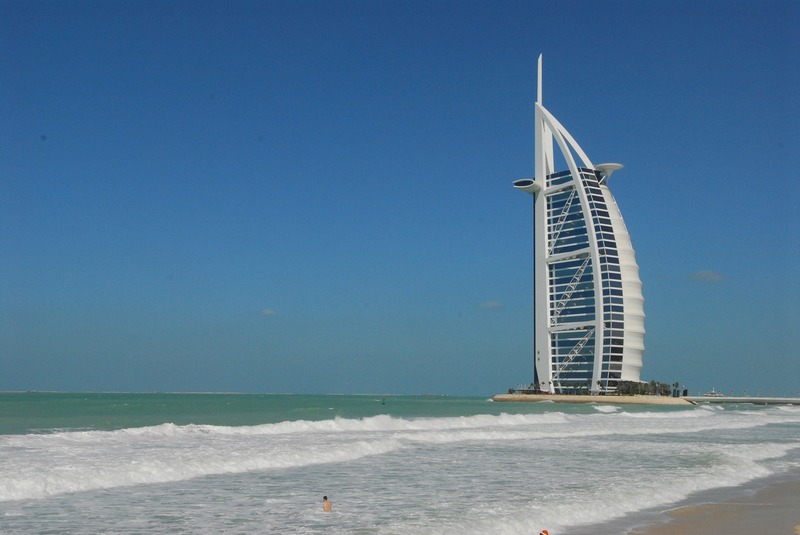 This famous luxury hotel in Dubai is the third tallest building in the world and juts out 280m into the sea on its very own (artificial) island. It’s not only the location that stands out but the hotel services and features are beyond par with it often being toted as the world’s only seven star resort. Metéora is Greek for ‘middle of the sky’ and that’s just where these monasteries are floating in Thessaly, Greece. It’s hard to image how the building work was executed where they lie, beside the Pindos mountains. They appear to emerge right out of the sandy rock face where they were sculpted seamlessly in. There were once twenty-four monasteries in operation in the area and today six remain functional while the rest lie in ruins. This Ice Hotel at 320 metres elevation in the small town of Jukkasjärvi in Sweden was opened in 1990 as the first Ice Hotel in the world. Each year it’s rebuilt tirelessly after it melts away in warmer weather. There are 100 icy bedrooms, glasses made from ice (icecubes not required) and even an icy chapel if you’re in the mood for a quickie wedding. Reindeer furs and polar sleeping bags are provided for all in order to survive the night. Fancy a cruise but suffer from sea-sickness? Then this resort in Jeongdongjin, South Korea is the perfect solution for you. While it has sea views, it won’t be setting sail anytime soon as it’s anchored firmly into the mountaintop. Sip a cocktail at the revolving bar on the top floor and you’ll feel like you’re docked at port with the panoramic views. This magnificent cliff dwelling in Mesa Verde National park is one of the most well preserved Ancestral Puebloan sites in the USA. The Mesa Verdeans (early Archaic people) built the dwellings between 650 and the 12th century. The dwellings were housed carved into rock overhangs and are still very well-preserved and a popular tourist spot today. This wooden, crooked house stands out starkly against the backdrop of sea and sky. Once a guest house in a thriving community it now lies abandoned awaiting it’s fate at the mercy of the sea. 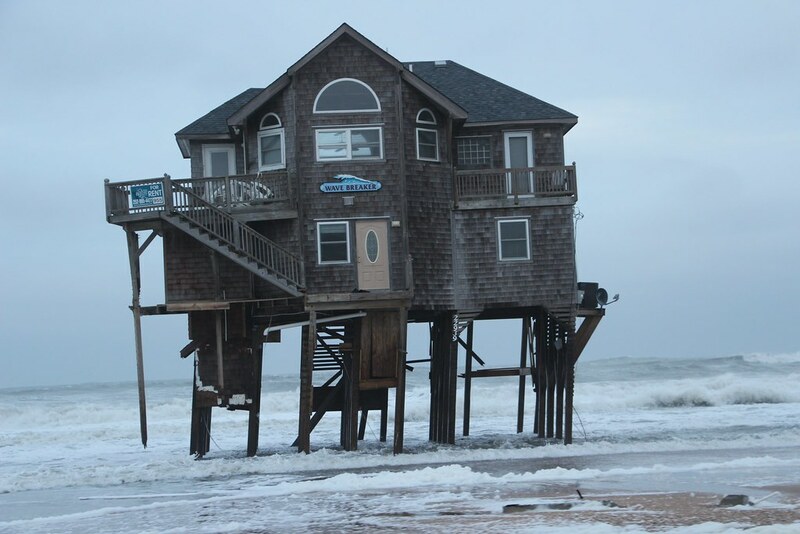 It probably seemed like a good idea at the time to build the ocean-front properties but years of rapid sand erosion has delivered these houses right into the sea. From afar this looks like any other modern city but on closer inspection it reveals it’s actually abandoned and falling into disrepair. This southern section of the city Famagusta was deserted during the Turkish invasion of 1974 and remains hauntingly empty since then as entry is forbidden. Originally settled in the 1600s Holland Island is a rapidly eroding Island in the state of Maryland USA. Recently this house was one of the last houses on the Island to surrender to the sea after a long battle against the elements and erosion. Holland Island was once a thriving community of 360 residents before the wind and sea began to work its magic and started driving people back to the mainland. Time and tide wait for no man.